It was only very recent where the employers and landlords were warned of dealing illegal migrants. This action shows how serious the government is in making sure that their party “conservative” is living into its name. The Immigration Act 2014 has been enacted and implemented in 2015. The Immigration Bill 2015-2016 has arrived and it entails to also warning the banks not to allow illegal migrants to open bank account. Under the Prohibition: Immigration Act 2014 section 40(1) a bank or building society must not open a current for a person who who falls within 40(2) unless one of two conditions has been satisfied. The first condition is that the bank or building society has carried out a “status check” in respect of the applicant, that is a check in relation to their immigration status, and to verify that the person is not a “disqualified person” for whom an account should not be opened. The second condition is that the bank or building society has been unable to carry out a status check because of circumstances that cannot reasonably be regarded as within its control. This might occur, for example, if it were unable to perform a check because of operational difficulties being encountered by the checking service for an extended period. Moreover, section 40(2) sets out the persons who may be disqualified from opening a bank account. A person may be disqualified from opening a current account if they are physically present in the UK and require leave to enter or remain in the UK but do not have it. The meaning of a “status check” and a “disqualified person” for the purposes of these provisions is explained in section 40(3). A status check means a check with a specified anti-fraud organisation or a specified data-matching authority. A disqualified person is a person who falls within section 40(2) and in respect of whom the secretary of state, who enjoys discretion as to who should be barred from opening current accounts, considers a current account should not be opened. This is because there will be some individuals who face legitimate barriers which prevent them from leaving the UK, even though they do not have leave. 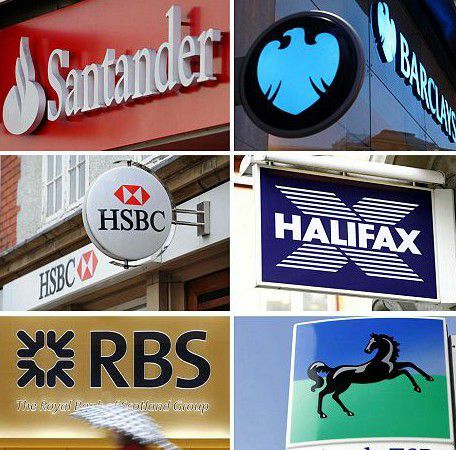 The secretary of state may enable these persons to open a current account. Under section 40(3) the prohibition on opening an account for a disqualified person extends to instances where the disqualified person is applying for a joint account, an account to which that person is to be a signatory or a named beneficiary, and also to instances where the disqualified person is to be added to an existing account as an account holder, signatory or named beneficiary. Don Magsino MBA is a post-graduate law student at Oxford Brookes University School of Law in Oxford, England, United Kingdom. He is a graduate of Ateneo De Manila University Graduate School of Business. He is a qualified and a practicing Immigration Lawyer in the UK. His mobile phone is 07446888377 / Direct Line: 0207 316 3027 Email is don@stanfordlawassociates.co.uk. His London office is located at Regus, 239 Kensington High Street, London W8 6SN. He is accredited by the Law Society in England and Wales and regulated by the Office of the Immigration Services Commissioner (OISC) Level 3: highest level in immigration professionals. He has represented clients in the First-tier Tribunal, Immigration Detention Courts and Deportation and Bail Hearings and to the Upper Tribunal and won many difficult cases in immigration law in the United Kingdom. If you are an ovestayer single parent in UK with a 7 year old child, visa is possible.